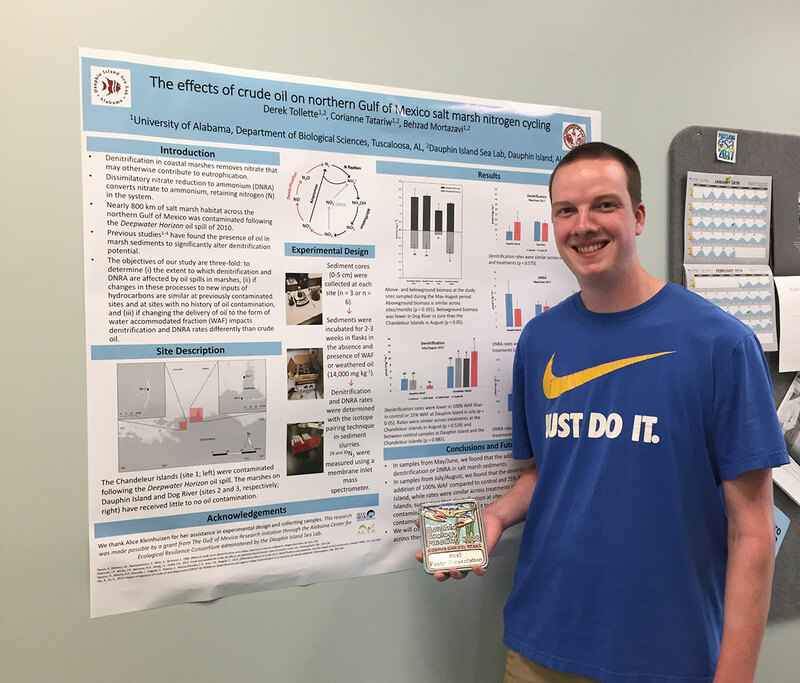 Derek Tollette's research impressed at the Benthic Ecology Meeting. 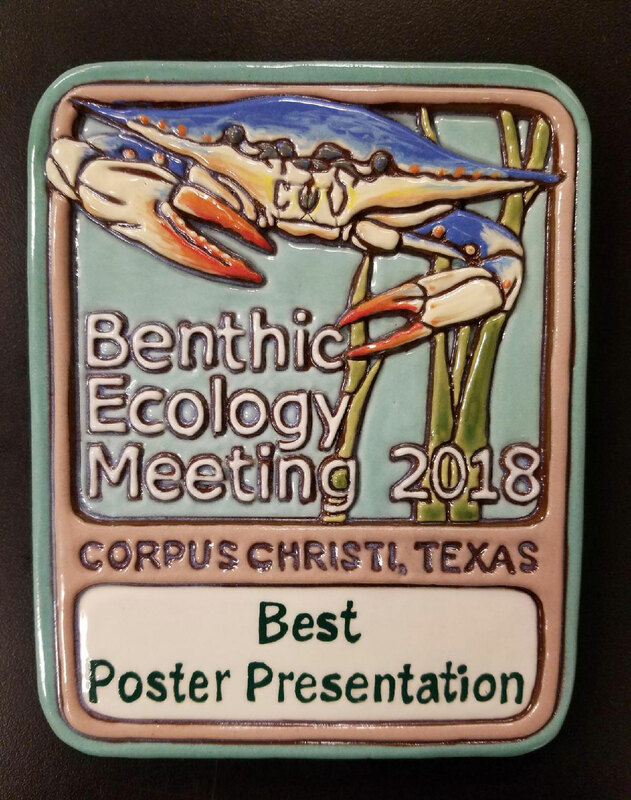 He brought home the award for best poster from the 2018 conference held in Corpus Christi, Texas. The Minnesota native is working on his masters through the University of Alabama and under the advisement of Dr. Behzad Mortazavi. Tollette's work looks at how nitrate is converted into dinitrogen gas. "I bring cores of sediment out of the marshes into the lab, add nitrate, and then measure how much dinitrogen gas is produced," Tollette explained. Tollette said he's always been intersted in different nutrient fluxes. His undergraduate research project looked at how benthic invertebraes can change the water quality of streams. His continued curiosity led him to the Dauphin Island Sea Lab. "I wanted to move to marine systems and that's how I found this program," Tollette shared. "It wasn't a specific set of nutrient that I wanted to look at, but the idea of the nitrogen cycle caught my interest." Looking beyond graduate, Tollette isn't sure what his next step will be, but he is interested in environmental conservation.